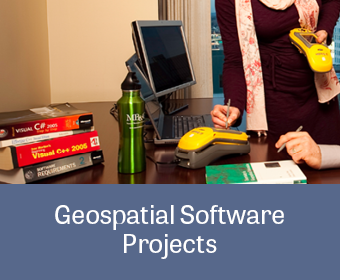 MB&G assists clients achieve the maximize return on existing and new geospatial software systems. MB&G provides a full-range of GIS application development services which can range from the development of a simple Python script for selecting field sampling locations to a complete spatially-enabled project management or emergency response solution. We are experts in GIS data maintenance and have developed complex data models and sophisticated spatial Extract-Transform-Load (ETL) solutions for large and small clients to improve their GIS data maintenance capabilities and efficiencies. Additionally, our staff has strong expertise in remote sensing and have developed a range of solutions for imagery processing including classification and spatial analysis solutions. Learn more about our developed custom applications.